Here at Staffordshire Brickies, we have a team of experienced, multi-skilled tradesmen who can perform a variety of services in both the domestic and commercial sector. 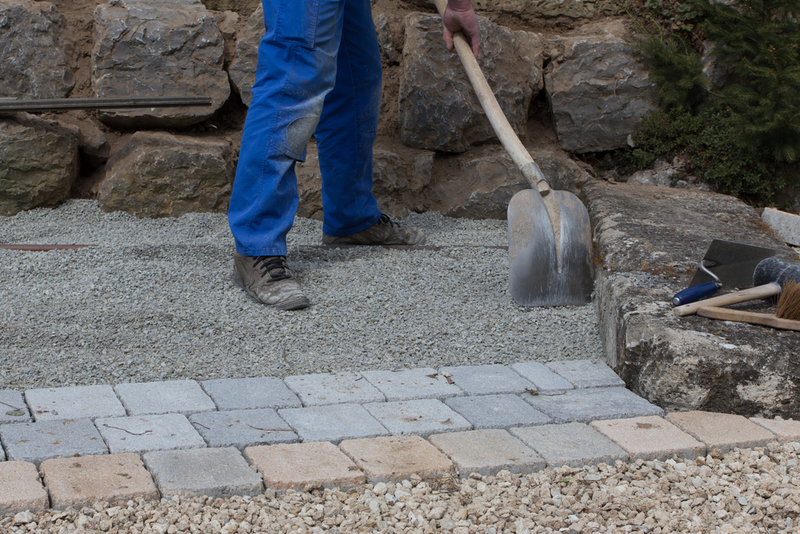 One such service is paving where we can transform your outdoor areas to improve safety or simply make it look beautiful. We offer extremely competitive rates have cemented our place as one the the leading bricklayers in Staffordshire. Along with our great prices, we pride ourselves on never compromising on quality. We specialise in creating stylish, durable designs that stand up to the test of time. A fantastic looking driveway can create a superb first impression and make all the difference to the image and character of your property. Our services also tend to add value too, especially when built to last. We can create a huge variety of styles from block paving to crazy paving in whatever colours you desire. Once finished, our paving is virtually maintenance free and needs a minimal amount of upkeep. We can create patios, pathways, pool surrounds, forecourts and car parks to name just a few of the projects we have worked on. Your imagination is the only limit when it comes to your paving project and with a vast portfolio of excellent work as well as checkable references we are a company you can trust. Whether your style is traditional or contemporary, our design team will ensure you are aware of all the available options before a single brick is laid. And, the price we quote you (no obligation!) will always be the price you pay at the end with no hidden or unexpected charges. We cover the whole of Staffordshire including Leek, Newcastle-Under-Lyme, Stoke and other surrounding areas. To get your no obligation quote or simply discuss your paving project in more detail, please get in touch with us today for more information.